I believe the best song I ever wrote was called "test03.s3m" and featured a guitar, a snare drum and a cymbal. I don't have it any more, and that's probably a good thing because I was embarrassed about enough things in 1994 to have shared my 2-minute magnum opus of repetitive "mmm-tiss" with the world. If I had, it'd have been through Trax in Space. Trax in Space was an online community of musicians which boomed from 1997 to its collapse in 2001. It was relaunched in 07 as something of a sharing service for musicians to showcase themselves and their bands, similar to the original myspace or (if you prefer to keep your retinas intact), Jamendo. It goes without saying perhaps, that I prefer the original, so I'd like to talk about the first Trax in Space, which requires one of my patented "Tangents that are larger than the actual points". MP3s, WMAs, AAC. These are commonplace now. Modern computers have more than enough horsepower (note: not actual horses) to uncompress music files on the fly. So do iPod nanos. Back in the mid-90s, things were very different. While CDs are a compressed format, like all digital audio, they're much less compressed than a modern MP3. This meant that to decode the signal, all you needed was a low-powered Digital-to-Analog Converter, or DAC. This piece of equipment eventually became cheap enough to be included as commodity hardware in all PCs, as well as those terrible "Soby" brand portable CD players you see for $15 at Wallgreens. For a while that was good enough. CDs could hold 640MB of uncompressed audio data, which was good, cause our hard drives were about that size or smaller. Any attempt to put music on our computers would have left us with no space left. The compressed MP3 format (the first "popular" music compression format, not the first full-stop) was a few years off, which was sort of good, given that our 486s would struggle to decode an MP3 even at a humongous clock speed of 133Mhz. Hardware decompression on our soundcards didn't exist yet either. But the idea of storing music on our computers was tempting. MP3s are compressed at a ratio of 1/10 the original CD data's size, meaning that a full CDs worth of music could fit in 64MB, much more palatable. But again, how could we play it without stuttering like a 13-year-old boy meeting Xena: Warrior Princess? Originally, the solution to this problem was the production of digital audio directly from a sound card or PC speaker. This worked on the same principle - but was generally a lot poorer - as the synthesizers found in music production. Kraftwerk and Depeche Mode would be acapella groups if not for their trusty synths. On-board synthesizers were controlled programatically for the most part, meaning that the average person wasn't going to be able to produce more than a tone or two at best. MIDI gave those of us (i.e. not me) with MIDI equipment a way to compose that was workable, but the output of MIDI at the time (and nowadays too, though how it's used has changes some) sounded no better and often much worse than FM synthesis. Here's a sample. Dunno about you, but it really just makes me want to listen to the real song, like hearing a muzak version of Master of Puppets or something while waiting at a doctor's office. So along came tracking, a method which did away with sound card synthesis in order to make use of recorded samples of real instruments. It works like this: You'd record a brief recording of you playing your dulcimer at middle C. The software of your choice would convert that clip, often much less than a second, to a sample. Then, you could track the dulcimer, telling the software when to play that clip and by how much to alter the pitch. It was this pitch altering that allowed the sample to be used for all notes, and was really quite impressive technology for the time. I experimented with sampling in 1994 or so, following my introduction to Nine Inch Nails, a band which had originally been in the Kraftwerk school of music, doing all their music on a synth and tracker just like the one I had. Sorta. Tracking files (generally, MODs) were significantly larger than MIDI, because they required samples, but were significantly smaller than MP3s, and though my personal experiments were massive failures, the available music was astounding both in variety and quality (and the variety OF quality). It all had a vaguely synthetic quality to it, but less so than MIDI, and no vocals, but for fans of electronica, those are good things. 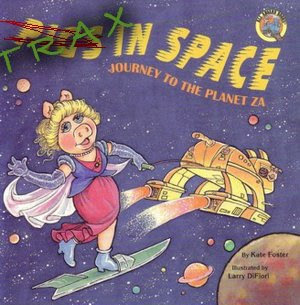 Enter Trax in Space. Started in 1992, it was a good place to go to get music by a ton of authors, most of which could fit on a floppy disk. That was important, because the internet in 1994 was not readily available, and all music downloading had to be done at the local library and brought home. Trax in Space was a pleasure to browse, despite being hamstrung by web technology at the time simply because the feeling of immense joy you got from getting free music. And the cool thing was, it was all deconstructable - a .mod file could be opened by your choice of tracker, the samples could be inspected, modified, and this made remixing a breeze - there was no DRM, no proprietary lockdown, this was the way the files worked. A friend of a friend had some work on TiS, and I thought it was magnificent, so much so that I still have it on my iPod to this day, converted to .mp3 of course. I even started a project to rework the samples in my favorite song Black of Day, which he recorded in the wrong key, and so poorly that the levels top out constantly. It's a testament to his skill that the song, done by a 16-year-old in his room, still sounds awesome. I'm not as enthusiastic about TiS now. The world has changed too fast, technology too much to limit myself to simple electronica. I don't have the desire anymore to spend hours and hours writing my own mediocre songs, and services like the aforementioned Jamendo are terrific for discovering new work. That and the site is Trax in Space in name only, at least when compared to the memories I have. The Wayback Machine at Archive.org has preserved some of the original Trax in Space, though not "my" time there. Fortunately, the files were small, and therefore portable, and so are archived separately through the good graces of roncli.com. If you're a fan of electronica, a student of computer audio, or just plain curious, I'd entreat you to check it out. Now, don't get me wrong, the exponential growth in computer power is giving us a lot in return. We're rapidly approaching a point where all of human media will be reproducible and accessible in a networked form. Just wait until you can download every book, movie, and song written in the last 50 years in a single torrent, in just a few hours (why not minutes? this is a hypothetical future, after all). But seeing how creative people can be when working under specific constraints, you can't help but think that the constraints themselves help foster creativity. And we come right back to film theory. Shrug. I'm not saying that technology is BETTER than humans, just that it's advancing at a completely different rate. We can get great graphics in our movies, but the tools required to make them have gotten better at the same rate - what once took a month still takes a month, but it looks a lot better. We've sort of hit a wall in the sense that we're limited in technological terms because we can only move so fast physically.